For kids and fathers everywhere, school holiday vacation can be one of the greatest weeks of the year. Besides the holidays, gifts, and time spent with family, there’s no school or activities to take up all of your kids’ time. But providing your children with days of family fun can be expensive. 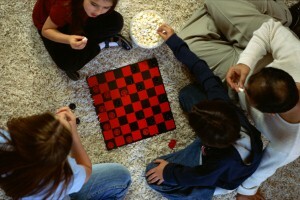 There are ways fathers can keep their vacationing kids busy without breaking the budget. Going to the movies is a fun outing for kids and parents of all ages. However, ticket and snack prices are cost-prohibitive for many families. Consider going to a matinee show with a discounted price and bringing your own snacks and drinks to make it more affordable. Many communities also have theaters that show older movies in a real theater at a discounted price. Or, have a movie day at home by renting some DVDs and making some popcorn yourself! Check out your local newspaper to find free, family-oriented vacation week activities. Libraries, museums and entertainment venues often increase their programs when they know kids are more likely to attend. Speaking of libraries, many offer discounted passes to everything from museums to zoos. Large companies often have agreements with area attractions for employees to take advantage of as well. Remember that sometimes these offers are first-come, first-served so reserve them early since others are looking for things to do as well!